We present a legend of UK electro – Scape One. Hear music from Global Goon, Imaginary Forces, Ingen, British Murder Boys, Happa, HueHelix and more with Mantis Radio’s DVNT. Anyone with even a passing interest in electro will have encountered the name Scape One; synonymous as it is with machine built electro. The work of English producer Kurt Baggaley, a musician who has been writing music since the 80s and throughout the years his work has been produced using proper analog hardware (mostly). Rising to his prominent status on labels SCSI-AV, Electrix, World Electric and Templedog amongst many others under his most popular and much loved guise Scape One; Baggaley continues to push electro alongside various other recordings projects. These include a recent release on Italo label HotMix under his own name and his recently launched Tau Sagittarii project; deep space themes with experimental electronic scores. Baggaley has a wealth of new material available: Tau Sagittarii – Sensory Data on Mehanika; Kurt Baggaley – Natural Phases for The Bohemian Club; Stem’s Kurt Baggaley/Scape One EP; and the aforementioned Kurt Baggaley – Family Resemblance for HotMix. Also in the wings, ready to drop soon are a further two Scape One EPs on labels Electrix and Acidlab. A prolific and essential part of electro both in the UK and on the ever popular global underground. 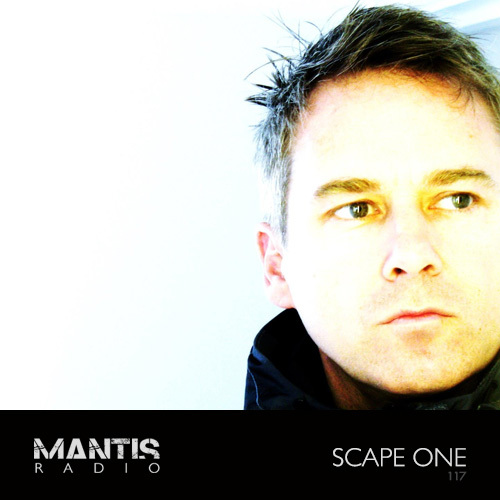 Ladies and gentleman, Mantis Radio presents Scape One.